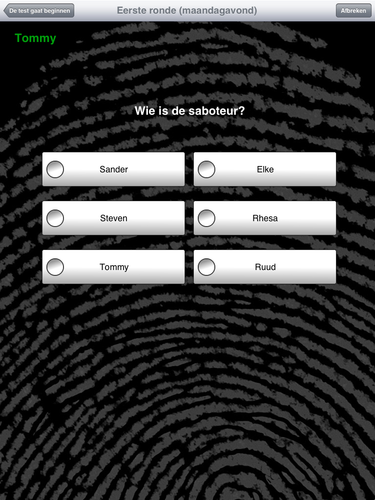 With Topito, you can play the famous ‘Wie is de Mol’ (‘Who is the Mole?’) television show with your friends. In Wie is de Mol, a group must complete assignments in order to be rewarded with prize money. One of the group members however is ‘the Mole’ and will do everything to prevent the group winning any money, either by sneaky sabotage or blatant bluffs. 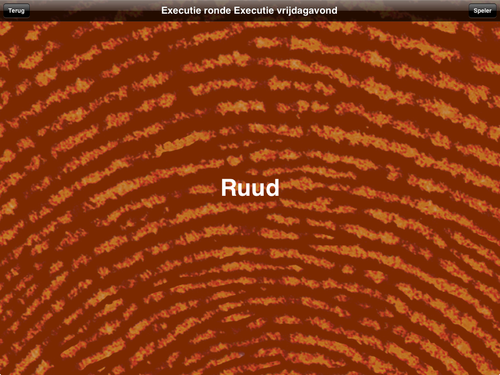 Using this app, the organizer can test the knowledge of the participants on the Mole, and decide who has to leave the game (by showing the famous ‘red screen’).